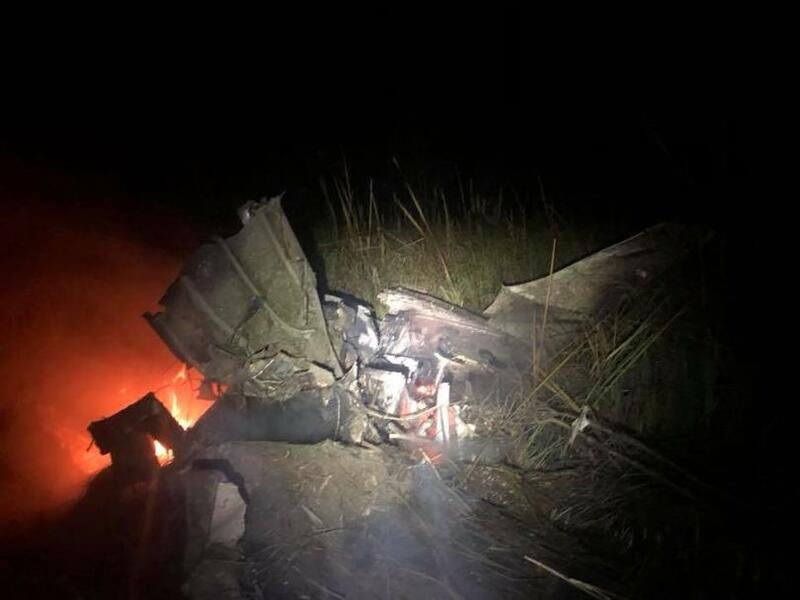 On November 30, 2018, about 1805 eastern standard time, a Cessna 210D, N3995Y, collided with terrain after departing from Apalachicola Regional Airport (AAF), Apalachicola, Florida. The private pilot was fatally injured. The airplane was destroyed. The airplane was registered to the pilot and was operated under the provisions of 14 Code of Federal Regulations part 91 as a personal flight. Night, visual meteorological conditions prevailed, and no flight plan was filed for the flight. The flight originated at AAF and the destination was undetermined. A pilot witness was approaching AAF from the west as the pilot of N3995Y was departing on runway 6. The two pilots exchanged location information over the radio for clearing purposes. The witness subsequently observed a fireball about 3 miles at his 10:30 position and notified local authorities. The airplane impacted a marsh, adjacent to the Apalachicola River, about 2 miles north of AAF. The right wing impacted the base of a cypress tree near the point of initial impact. Components of the airplane located near the point of initial impact included right wing components, a main landing gear strut, and the propeller. The wreckage path was oriented on a heading of 100° and was about 304 feet in length. The main wreckage, located about 274 ft from the point of initial impact, included the fuselage, cockpit, left wing, and empennage. Postaccident fire signatures were observed on the main wreckage. The engine was separated from the airframe and was found about 304 ft from the point of initial impact. The time of the accident correlated with the end of civil twilight. Weather conditions at AAF at 1753 included an overcast ceiling at 12,000 feet, 10 statute miles visibility, and light rain. Around 6:10 pm last night, a small plane took off from the Apalachicola Regional Airport and crashed into the east side of the marsh in the Apalachicola River. Neighbors reported the crash to the Franklin County Sheriff’s Office and Sheriff Smith immediately responded to the scene by boat. Lewis Cameron Midlam 73, of Fort Myers was found deceased near the plane, a Cessna 210. Mike Shiver, APD Chase Richards, APD Ginger Creamer, Jimmy Mosconis, Florida Fish and Wildlife Conservation, Apalachicola Regional Airport and the Apalachicola Police Department assisted the Franklin County Sheriff’s Office during this accident. Great teamwork! The body of Lewis was then taken to shore by the Franklin County Sheriff’s Office, then transported to the morgue in Tallahassee. Today, the National Transportation Safety Board, Federal Aviation Administration, Continental Motors and Air Safety Cessna were all at the Apalachicola Regional Airport this afternoon conducting investigations. The National Transportation Safety Board has dispatched an investigator to Apalachicola to determine what caused the crash of a small plane early Friday evening in marshland just east of the Apalachicola River, across from the stretch between the Bay City Lodge and the railroad trestle. The crash, which the sheriff’s office said happened at about 6:25 p.m. took the life of the pilot, a 73-year-old businessman from Fort Myers. Sheriff A.J. Smith said evidence gathered so far indicates that Lewis Midlam, owner of LCM Engineering, was piloting the Cessna 210D Centurion when it crashed just after takeoff from the Apalachicola Regional Airport. Smith was first on the scene, and quickly borrowed a boat from Bay City Lodge owner Jimmy Mosconis, and together with Apalachicola Police Officer Ginger Creamer, quickly sped into the marsh where the wreckage was still burning. Mike Shiver, as well as the Florida Fish and Wildlife Conservation Commission, ran boats to the scene. The sheriff’s office removed the body, and transported it to the medical examiner’s officer in Tallahassee for an autopsy, Smith said. Ralph Hicks, an investigator out of the NTSB’s eastern regional office in Ashburn, Virginia, was on the scene today. Smith said he took the investigator out to the wreckage, but high tide and all the rain made it too wet to safely examine the wreckage. “There was no rain, no wind, just sprinkling, ” said a resident of Melanie Lane who was outside in his yard when he heard the buzz of a plane engine overhead, and then the sound it made, “like a firecracker under water” when it hit the trees, on the opposite side of the river. He said he ran to the dock at the Manatee Bluff subdivision and watched helplessly from less than a quarter-mile away as the fire raged for about 15 minutes. Midlam, who was a licensed private pilot since 2009, had flown in to Apalachicola Friday morning from Fort Myers, a 328 mile trip that took about two hours. Smith said he had worked in Port St. Joe that day, and was flying back to Fort Myers that evening. Isaac Lang, a former commercial pilot who now lives on St. George, said the investigator will work to determine a probable cause, which could be either pilot error or mechanical failure. 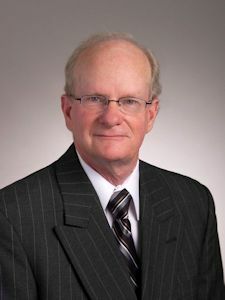 Lang, who holds both basic and advanced NTSB certification as an aircraft accident investigator, a job he did for military, commercial airlines and insurance companies, said an investigator will first try to determine if there was possible engine or aircraft malfunction, and then look at possible spatial disorientation from flying into the dark while accelerating. In addition, the investigator may order a blood draw to determine if physiological factors were a contributing factor. I wonder if this pilot operated under "BasicMed"?